If you need to dispose of scrap copper at your commercial or domestic premises in Harlow, Hertfordshire or the surrounding areas, look no further than Hill Metal Recycling Ltd.
With over 25 years’ experience in the industry, we provide expert scrap copper recycling for a variety of commercial industries as well as for smaller scale domestic customers, working in a reliable manner and at a great price with a 24-hour collection service for this non-ferrous metal. 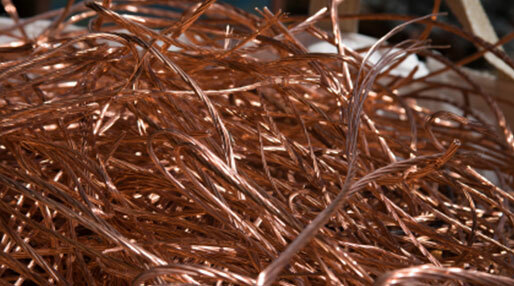 For more information on our scrap copper recycling service and how it can benefit your company or home’s scrap, contact us today. We’ll be happy to help rid you of your scrap metal, so don’t hesitate to get in touch.